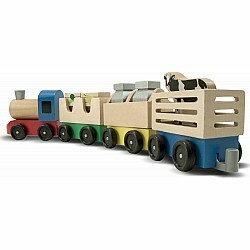 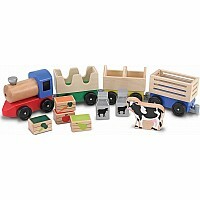 This busy wooden train is just what's needed to transport a new cow or take cans of milk, fruit and vegetable crates to market. 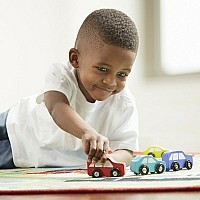 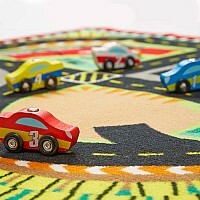 Your young engineer's imagination will be engaged by the colorful engine and the three interchangeable cars. 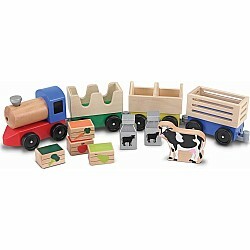 Hours of fun will be provided as your child loads and unloads the train cars and pretends to steer the train. 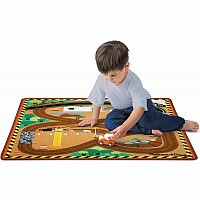 Measures approximately: 3.00 x 5.50 x 21.00 inches..